Panel 5 served as an interesting continuation of the proceeding panel, in terms of themes and discussions. The presentations, diverse in terms of geography, approach and time frame, triggered discussions on the reflective nature of those with and on whom we do our research, as well as that of us as researchers. It seems that a certain physical and analytical distance is needed – most probably coupled with time – before we can place the realities we encounter into perspective. Both Souleymane’s (paper 4) and Shamil’s stories seem to warn us of feelings of revenge and the necessity to perhaps “forget”, in order to be able to move forward. We can only hope that with time, the Cameroonian people will find solutions which reflect their needs. Memory is an important instrument of meaning giving to people living in duress. Memory is a purposeful act that helps make sense of the present, as well as the future and thus to people seeking to change their current predicament. Memory becomes even more pertinent in the Middle African region because of the limited, and often highly politicised, historiography that has produced narratives that reflect the position of those in power, but hardly gives voice to the ways in which ordinary citizens have experienced their lives. Following Fabian (2003), we consider memory work as a double act of remembering and forgetting, as a purposeful and conscious act. It thus becomes a site where different generations may be contesting each other on their understandings of the past and the present. In this panel we are interested in exploring memory-work of different generations in the Middle African region along three main angles. Firstly, we question what different generations (choose to) remember and question what discrepancies we can observe in the memory work of different generations, and how we can understand this in the context of struggles for political change. In pursuit of their aspirations for a better and different future, memory-work then becomes a purposeful act for (transitional) justice, for reconciliation, as well as a source for inspiration through the remembrance of visionary and inspirational leaders of the past such as Sankara, Lumumba and Fanon. In light of 20th century volatile history in this region, memory-work may then not merely become a double-act of remembering and forgetting, but also a politicised act of remembering and forgetting, and in doing so, of silencing and creating histories. Secondly, we question how generations remember. Younger generations may opt for different practices of remembering and forgetting as a means to create authentic sites of remembering. What do younger generations choose to remember, and what technologies of remembering do they employ? New technologies of remembering enabled by increasingly widespread access to ICTs in the region may also enable new technologies of remembering through which younger generations find new ways to make the past meaningful for them. Thirdly, how does memory work mediate the often complex inter-generational relations in the region? How do young generations reflect on older generations that allowed the social, economic and political disintegration since the 1980s to happen? And how do older generations remember (post-)colonial history, and how relevant is their memory for Africa’s youth today? Photographs constitute one of the social repertoires in Cameroon, and especially in the Grassfields in the Northwest province exists a long visual tradition. This paper explores the role of private and family photographs in creating and telling people’s stories, memory and the history of this region. The findings are based on fieldwork that was carried out from September 2016 till February 2017 in Cameroon and continued in the Netherlands until today. This paper describes a mobile family living in the Northwest of Cameroon and increasingly in the diaspora, while staying well connected. This work however was started by professor De Bruijn who has followed this family since 2008, with a focus on the relation between new connecting technologies and change in social dynamics (De Bruijn, 2014). Mobility has been part of this family for a long time and relates back to the parents’ itineraries between the 1960s en 1980s. The family has kept a rich photographic archive that tells the story of how they represent themselves, construct identity, create a sense of belonging, and are connected in a society in which they live in duress and in which some of the family members have actively been and are still fighting for social and political change against an oppressive regime. However, the photographs show a façade, where behind we can find a complex story of striving to change their situation. Starting with analogue photographs the different generations have continued making and collecting photographs in the digital era and nowadays also share and store them on their mobile devices and social media. Interacting with these photographs show how memory and history is constructed and created through these photographs, and how the photographs play a role in inter-generational relations in this part of Cameroon and beyond, as the images keep them connected with themselves and others. Furthermore, this paper also reflects on methodologies and new ways of understanding photographs by considering them as a vital source for writing history. It is important to consider the fluidity of meaning of photographs. Studying people’s private and family photo collections means a co-creation of stories between the researcher and informant, and likewise memories. Les photographies constituent un des répertoires sociaux au Cameroun. Il existe en particulier une longue tradition visuelle dans le Grassfields dans la province du Nord-Ouest. Cet article explore le rôle des photographies privées et familiales dans la création et la narration des histoires de vie, de la mémoire et de l’histoire de cette région. Les résultats sont basés sur le travail de terrain effectué de septembre 2016 à février 2017 au Cameroun et qui se poursuit encore aux Pays-Bas. Cet article décrit une famille mobile vivant dans le nord-ouest du Cameroun et de plus en plus dans la diaspora, tout en restant bien connectée. Toutefois, c´est professeur De Bruijn qui a commencé à suivre cette famille depuis 2008, en mettant l’accent sur la relation entre les nouvelles technologies de connexion et le changement dans la dynamique sociale (De Bruijn, 2014). La mobilité fait partie de cette famille depuis longtemps et se rapporte aux itinéraires des parents entre les années 1960 et 1980. La famille a gardé une riche archive photographique qui raconte l’histoire de la façon dont elle se représente, construit son identité, crée un sentiment d’appartenance et comment elle reste connectée au sein d´une société dans laquelle elle vit dans la contrainte et dans laquelle certains membres de la famille ont activement été et se battent toujours pour des changements sociaux et politiques contre un régime oppressif. Toutefois, les photographies montrent une façade derrière laquelle l´on peut trouver une histoire complexe de lutte pour changer les conditions de vie. Ayant commencé avec les photographies analogiques, les différentes générations ont continué à faire et à collecter des photographies pendant l’ère numérique et, aujourd’hui, les partage et les sauvegarde sur leurs appareils mobiles et les médias sociaux. 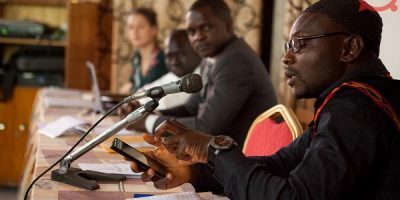 L´interaction avec ces photographies montre comment la mémoire et l’histoire sont bâties et créées et comment les photographies jouent un rôle dans les relations intergénérationnelles dans cette partie du Cameroun et au-delà, car les images les maintiennent en contact avec eux-mêmes et avec les autres. En outre, cet article réfléchit également sur les méthodologies et les nouvelles façons de comprendre les photographies en les considérant comme une source essentielle pour l’écriture de l’histoire. Il est important de considérer la fluidité de sens des photographies. L’étude des collections de photos privées et familiales des populations signifie une co-création d’histoires (ainsi que des souvenirs) entre le chercheur et l’informateur. On 8th December 2016, a planned political rally of the ruling party, CPDM, which was scheduled to hold in Bamenda, the administrative capital of the assumed marginalized Northwest Region of Cameroon turned out to be bloody as a confrontation with the armed forces led to the death of eight people. This was not new. In May 1990, six youths were killed during the launching of the Social Democratic Front (SDF) party, an incident which kept the town and the entire region under siege for close to five years. The incident showed the resilience of Bamenda people within the political tyranny of the ruling government of Paul Biya for the past 34 years. This article analyses the events around the last months of 2016 and 2017 in light of a durable situation of political repression in Cameroon that fed the spirit of dissent in Bamenda. Crucial to the paper is the ways in which the memory of the past, encapsulated in suppression, resistance and protest has influenced and continues to influence political choices in the present day Bamenda. In other words, and drawing from Maurice Halbwachs concept of collective memory, I want to analyse how memory work helps give meaning to contemporary political changes in Bamenda in particular and Cameroon in general. How did the use of social media and people’s lives became connected during this period both in Bamenda and in Diaspora. The aim is to understand how the experience of suppression, hardship and protest has influenced the political choices of the ordinary citizens ever since the political liberalization in Bamenda. The article questions how the people of Bamenda have been able to make choices that have taken at one time the government on their side and on the other hand have posed a great challenge to the same government. In all these, how has the common man/woman fared in the situation? It questions how this experience of outright oppression re-enkindles memory and how this has enacted upon the state and the region.The article is based on interviews with the people who lived through the political crisis, personal experiences, data from the newspapers and some secondary material. The article concludes that in order to understand the present political upheavals today rocking the North and Southwest regions the past memory of suppression, resistance of the Biya regime need to be put in proper perspective which stretches back to the 1990s. 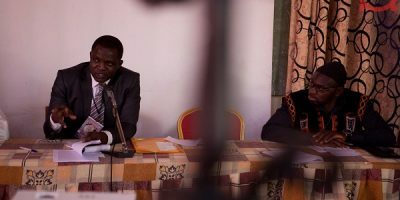 Le 8 décembre 2016, un rassemblement politique du parti au pouvoir, le CPDM, qui devait se tenir à Bamenda, la capitale administrative de la Région du Nord-Ouest supposée marginalisée du Cameroun, a dégénéré en une confrontation sanglante avec les forces armées et a conduit à la mort de huit personnes. Ce fait n’était pas en soi nouveau. En mai 1990, six jeunes ont été tués lors du lancement du Front Social-démocrate (SDF). Cet incident, qui a maintenu la ville et toute la région en état de siège pendant près de cinq ans, a montré la résilience des populations de Bamenda contre la tyrannie politique du gouvernement de Paul Biya au pouvoir depuis 34 ans. Cet article analyse les événements des derniers mois de 2016 et 2017 à la lumière d’une situation durable de répression politique au Cameroun et qui a alimenté l’esprit de dissidence à Bamenda. Un élément crucial dans l´article est la façon dont la mémoire du passé, incarnée par la répression, la résistance et la protestation, a influencé et continue d’influencer les choix politiques dans le Bamenda actuel. En d’autres termes, et en s’appuyant sur le concept de mémoire collective de Maurice Halbwachs, je voudrais analyser comment le travail de mémoire contribue-t-il à apporter des changements politiques contemporains à Bamenda en particulier et au Cameroun en général. Comment l’utilisation des médias sociaux et les vies des populations ont-elles été liées pendant cette période aussi bien à Bamenda que dans la diaspora. 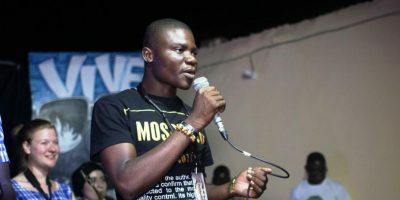 L’objectif est de comprendre comment l’expérience de la répression, des difficultés et de la protestation a influencé les choix politiques des citoyens ordinaires depuis la libéralisation politique de Bamenda. L’article cherche à savoir, d´une part, comment les populations de Bamenda ont pu faire des choix qui, dans le temps, ont amené le gouvernement à être de leur côté, et, d’autre part, comment ces mêmes choix ont posé un grand défi à ce même gouvernement. Dans tous les cas, comment le citoyen ordinaire s´a-t-il tiré son épingle du jeu? Il pose la question de savoir comment cette expérience d’oppression absolue ravive la mémoire et comment cela a joué sur l’état et la région. L’article est basé sur des entretiens avec des personnes qui ont vécu la crise politique, sur des expériences personnelles, des articles de journaux et d´autres données secondaires. L’article conclut que pour comprendre les bouleversements politiques actuels qui secouent aujourd’hui les régions du Nord et du Sud-Ouest, le souvenir de l´oppression, de la résistance au régime de Biya doit être convenablement mis-en en perspective. Ce qui remonte aux années 1990. 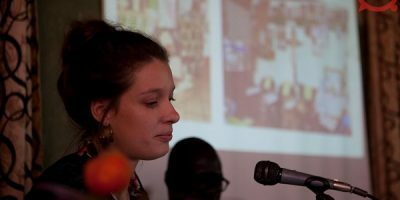 Intervenir sur les mémoires et l’oubli des générations au Tchad, revient à mettre en évidence les souvenirs de deux générations, coloniale et postcoloniale. Ces deux générations ont en mémoire des souvenirs qui se différencient dans leurs contextes mais qui se rencontrent par leurs caractéristiques. Cependant, contextes et caractéristiques sur lesquels sera centrée notre analyse, revient à interroger un certain nombre de personnes appartenant à ces deux générations portant l’histoire du Tchad. 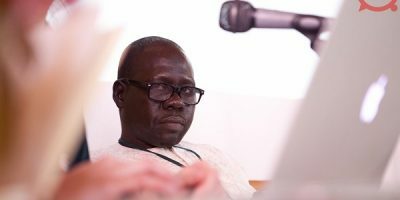 En fait, l’oppression coloniale et l’autoritarisme postcolonial se fédèrent pour justifier les conjonctures sociopolitiques dans lesquelles s’est forgée l’histoire contemporaine du Tchad. Si la période coloniale s’inscrit dans un contexte de violences pour l’émancipation politique, par contre l’indépendance est marquée des méthodes politiques autoritaires qui découlent directement de l’héritage colonial. Par conséquent, les mémoires de ces deux générations sont truffées des souvenirs cauchemardesques. Lesquels ont profondément agi sur les comportements sociaux. Nombre de personnes que nous avons interrogées sur leurs histoires de vie, racontent des souvenirs marqués par des événements malheureux résultant de guerres et de leurs conséquences. Et cela apparaît dans leurs manières de vivre et de parler. La violence est perceptible dans leur quotidien et la vengeance s’exprime en termes de regret. Cette présentation se réalise à travers des entretiens et interviews que nous avons réalisés auprès des fonctionnaires issues de l’école coloniale et des fonctionnaires et ex-rebelles de la période postcoloniale. Researching on memories and oblivion of the past generations in Chad requires bringing to light the memories of two generations, the colonial and postcolonial. These two generations have memories that differ in their contexts but meet in their characteristics. Therefore, an analysis focused on these contexts and characteristics will require us to interview some people belonging to both these crucial generations. In fact, colonial oppression and postcolonial authoritarianism concur in explaining the socio-political circumstances that forged the contemporary history of Chad. While the colonial period was marred by violence for political emancipation, independence was marked by authoritarian political methods derived directly from the colonial heritage. Hence these two generations are marked by nightmare memories that have had a deep impact on social behaviours. Many of the people surveyed on their life stories responded with tales of unfortunate events resulting from wars and their consequences, that are still visible through the way they live and speak. Violence is perceptible in their daily lives and revenge is expressed in terms of regret. This presentation will focus on our interviews with the civil servants from colonial schools as well as civil servants and former rebels of the postcolonial period. Le Cameroun, pays d’Afrique centrale, est un ancien territoire colonial issu de la versatilité occidentale. Protectorat allemand à l’issue du traité germano-Douala du 12 juillet 1884, le Cameroun est partagé en deux zones d’influence le 04 mars 1916 par les victorieux de la première guerre mondiale : une zone française (425.000 km2) et une zone britannique (85.000 km2). Plus tard, le 12 août 1922, l’acte de Londres décidait de placer le Cameroun sous le mandat (B) de la SDN. Le 13 décembre 1946, en vertu de l’article 77 de la Charte de San Francisco, le Cameroun passait sous la tutelle de l’ONU. Le 1er janvier 1960, la partie française du Cameroun accédait à la souveraineté internationale alors que la partie britannique ne le sera que le 31 septembre 1961. Le lendemain, 1er octobre 1961, date historique, les deux Cameroun se mettaient ensemble dans le cadre de la réunification. Quelques années plus tard, le 20 mai 1972, par un référendum unilatéralement décidé par le président Ahmadou Ahidjo, les Camerounais optaient pour le basculement institutionnel de la réunification à l’unification, entérinée par la constitution du 2 juin 1972. Bien que ce détour énumératif de l’histoire pré/post coloniale du Cameroun soit évasif, il reste cependant avéré que des voix, de plus en plus insistantes, s’élèvent pour dénoncer un enfouissement de l’histoire du Cameroun dans les abyssaux de l’oubli. En effet, ce choix politique, depuis 1960, semble procéder à la délégitimation des héros/nationalistes et au confinement, dans l’oubli, des dates-phares de l’histoire. Ainsi, deux fêtes nationales, sans repère historique avérée et fondamentalement contestées, sont commémorées annuellement : la fête nationale, le 20 mai, et la fête de la jeunesse, le 11 février. Aujourd’hui plus qu’hier, certains universitaires, hommes politiques et activistes de l’ex-Cameroun britannique, modérés, s’offusquent de la négation de leur identité historique. D’autres par contre, extrémistes, susurrent des velléités irrédentistes du fait de l’oubli ou de l’absence d’appropriation politique des dates majeures de l’histoire du pays. 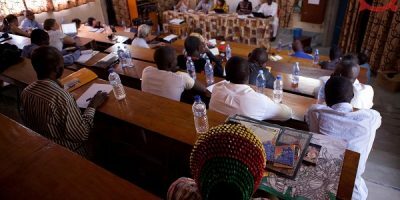 La tenue de ce colloque aidant, plusieurs questions étayent cette réflexion envisagée lors de cette rencontre scientifique : l’histoire racontée du Cameroun est-elle celle de vainqueurs ou des vaincus ? Quelles sont les techniques de revendication/contestation des commémorations mémorielles au Cameroun ? Comment se déterminent-elles à l’évolution sociopolitique du pays? The Central African country of Cameroon is a former colonial territory created by western versatility. A German protectorate as a result of the German-Douala treaty of 12 July 1884, Cameroon was divided into two influence zones on 4 March 1916 by the winners of World War I: a French area (425.000 km²) and a British area (85.000 km²). Later, on 12 August 1922, the London Act placed Cameroon under Mandate (B) of the League of Nations. On 13 December 1946, in virtue of article 77 of the San Francisco Charter, Cameroon came under the supervision of the UN. On 1 January 1960, French Cameroon gained international sovereignty, while British Cameroon had to wait until 31 September 1961. The following day, October 1 1961, a historical date, the two Cameroons were reunited. Some years later, on 20 May 1972, by a referendum unilaterally decided by President Ahmadou Ahidjo, the Cameroonians opted for institutional change from reunification to unification as confirmed by the constitution of 2 June 1972. Even though this brief overview of the history of pre/postcolonial Cameroon is evasive, the fact remains that increasingly insistent voices are denouncing that the history of Cameroon has been buried under the abysses of oblivion. Indeed, the political choices made since 1960 seem to delegitimize heroes/nationalists and to confine to oblivion key dates of the history of the country. Hence, two national holidays, with no established historical reference and fundamentally contested, are commemorated annually: Independence Day on 20 May, and the day of the youth on 11 February. Today more than ever, some moderate scholars, political figures and activists from former British Cameroon are feeling offended by this denial of their historical identity. Others, more extremists, are whispering irredentist desires because of this oblivion or the absence of political ownership of the main dates of the history of the country. This symposium will help to substantiate several questions raised during the venue: is the history of Cameroon, as told, the version of the winners or the losers? What are the techniques of claims/contestations of the commemorations of the dates of the history of Cameroon? How are they determined in the light of the socio-political changes occurring in the country?